Some dogs will eat just about anything, from chicken bones to plants to prescription pills. One poor pooch from Colo. lost her life after eating another item found commonly in households: a penny. That's because pennies minted after 1982 contain zinc, which is a toxic substance to pets such as dogs and cats, according to the American Veterinary Medical Association. 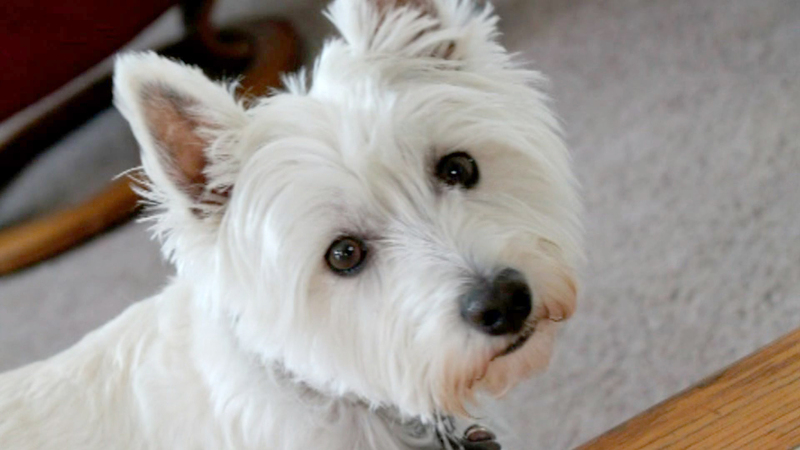 "I used to call her my walking heart on four legs; just one of the nicest dogs," Maryann Goldstein , the owner of the deceased West Highland White terrier named Sierra, said to CBS Denver, which reported the case. Goldstein said Sierra was always attracted to change, and remembered her Westie swallowing 32 cents worth of a change as a puppy, requiring surgery. However this March, the dog got very sick and had to go to the veterinarian. An X-ray revealed a quarter and penny in her stomach. The penny presented the biggest risk because it contained zinc. Dr. Rebecca Jackson, a staff veterinarian at Petplan pet insurance, told CBSNews.com in an email that these newer pennies are so toxic because gastric acid from the pet's stomach can reach the zinc center of the penny quickly, causing it to be absorbed in the body rapidly. She said zinc interferes with red blood cell production, and the longer the exposure, the greater likelihood red blood cells will be destroyed. Symptoms of zinc toxicity include vomiting, diarrhea, lack of appetite, lethargy, red-colored urine or looking jaundiced. "I just couldn't believe it, and this time she wasn't so lucky," said Goldstein. Goldstein wears her dog's ashes in a heart-shaped container on a necklace, and shares Sierra's story to warn others that a penny could be so costly. In March, one lucky New York City Jack Russell terrier had a health scare when he ate 111 pennies and became ill. The dog, Jack, developed an upset stomach and began to vomit. When the owner brought Jack to the vet, doctors had to remove the pennies four to five coins at a time before all 111 were removed, BluePearl Veterinary Partners said at the time. "Zinc toxicosis is more commonly seen in dogs, but cats can get sick from eating pennies, too," warned Jackson. "Be sure to bank your spare change before curious pets can get their paws on it -- and if they do, get them to the emergency vet immediately."